Easily! Download full-length movies from YouTube at record speed and absolutely free. Full HD, 8K, 4K, HD, and other qualities. Download online YouTube movies in English and foreign languages. Save drama, comedy, cartoons, Bollywood, Pakistani, Punjabi, Bengali films and other genres on your computer. Download YouTube films in one click. Watch YouTube videos in MP4 HD offline at any time. Try now! Download, install and run Freemake Video Extractor. It’s a free, light-weight application for YouTube that solves the crucial movie fan question: “How to download YouTube videos?”. Follow wizard step by step to install this free program correctly. The software is available for download on Windows 10, 8.1, 8, 7 and Windows Vista. Please note that other OS versions and platforms are not supported. Go to a YouTube movie page. 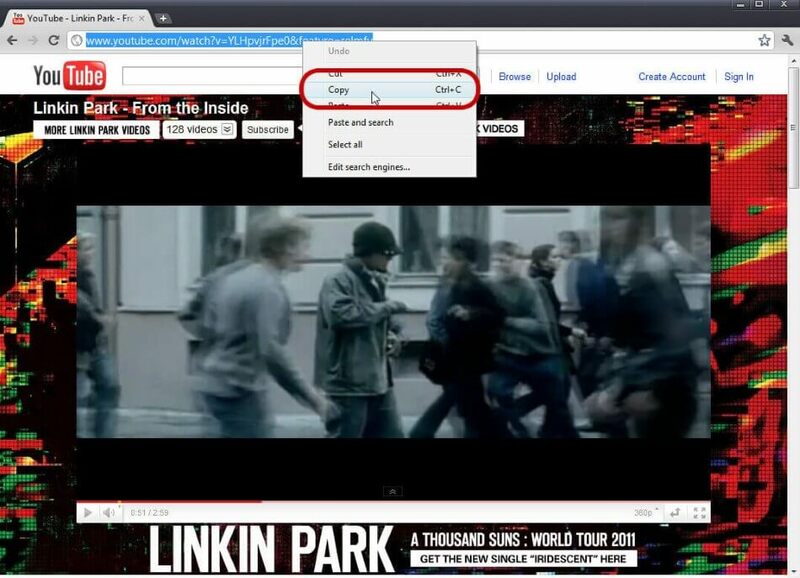 Type into the YouTube search box your favorite video or film name. Then hit the Enter button on your keyboard. Please make sure that you can play YouTube video in your browser. If you can, then copy the URL of the YT video you want to download. Note that Freemake Downloader doesn't download movies from branded YouTube channels. Open Freemake Video Grabber and paste the YouTube link from the clipboard into the software using the “Paste URL” button at the top left corner of the window. When the app processes the download link, you will see the YouTube movie name, file duration, and the link source. A new window will pop up in our YouTube Video Downloader. Here you need to adjust the YouTube movie download settings such as file quality, video file extension, output saving folder and any necessary actions like download. By default, YouTube movies are captured in MP4 format with non-HD quality and saved to the "Videos" folder on your PC. You can change this preset at any time. For example, you can pick FLV 720p format and save it to a separate folder on your laptop. When you’re ready with suitable settings, click the big “Download” button to download the YouTube clip right away. Depending on your Internet connection speed and the length of the film, downloading a movie from YouTube may take anywhere from one minute up to half an hour. When the program finishes, it will offer to open the downloaded YouTube film. Please make sure you have a reliable Internet connection during the entire process of movie downloading from YouTube. You can’t merely input the YouTube URL and unplug the Internet cable. The software downloads the full stream of a YouTube film in chunks. That’s why it's best to check your Internet access speed before you begin YouTube film downloading to make sure to get the best YouTube quality. Please bear in mind that you should be able to play the movie you want on YouTube. If you see a black screen and a message that "this video is not available in your country", it means that the content owner limited access to the videos in your region. But don’t worry, there are at least two workarounds. First, go back to YT search and check if there are any copies of the wanted video file. You can enter the name of the movie into the YouTube search box. If there are no other results besides of the official channel, try to enter the short name of the film, or an actor name. Some YouTube movies are uploaded without the correct full title, and that’s why it’s hard to find. If you are 100% sure that you have checked all versions of the movie title on YouTube, then you will need to obtain a proxy to mimic your location in another part of the world. Here’s how to do it. Go to google.com and search for “free us proxy list”, you will get a couple of websites that offer free proxy access. Then open the Freemake app and go to “File” menu at the top left corner, then select “Options” and open “Connections” tab. Here you will need to enter proxy and input data into the required fields. You will get all the necessary data on websites that provide you with a free proxy server. When you’re done click the “OK” button and return to You tube. Go back to the YouTube movie you failed to playback and try to play it again. If it works fine, then proceed to steps 2 – 4 as described above. Please note that some YouTube videos have age restrictions. So you might see an alert requesting you to login to YouTube in order to view an online stream. Your YouTube account has information about your age. If you’re older than the limit created by the YouTuber, you should be able to watch the movie on YouTube without problems after you login. One more option on YouTube is the ability to watch YouTube movies with captions or subtitles. Unfortunately, subtitles are not incorporated into films, and you won’t be able to download YouTube movie with subtitles. You can also get free YouTube music downloads and download 1 hour long videos with our Freemake software.